Our Monday maker for this week is make up! 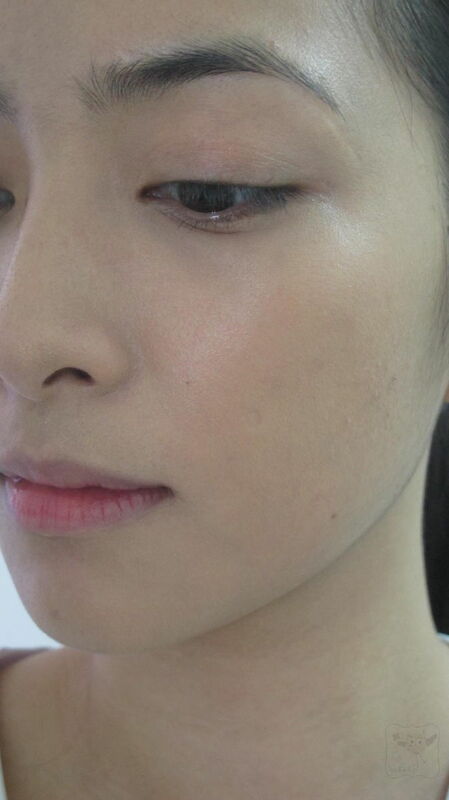 Make up lovers aminin with the very hot and humid weather, sometimes wearing tons of make up isn’t ideal. 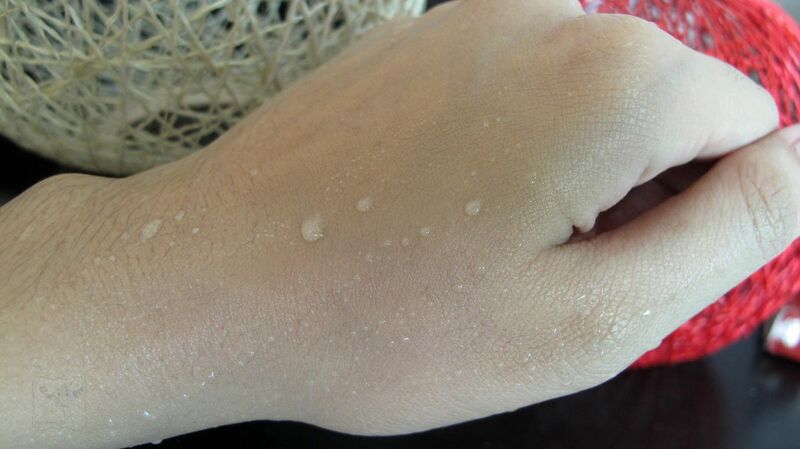 You get oily, sweaty and very much hulas soon after you’ve put them on right? I personally don’t wear much make up during summer. I find it irrelevant since I know I’ll be running around the metro under the sweltering heat. So despite my imperfections, read: pimple marks, eye bags, discoloration and the like, I try to sport a bare face look. That means eyebrow & lip and cheek tint only. Thankfully though, I’ve been introduced to a foundation make up that I swear nobody will tease you Happy Foundation Day!!! heehee. 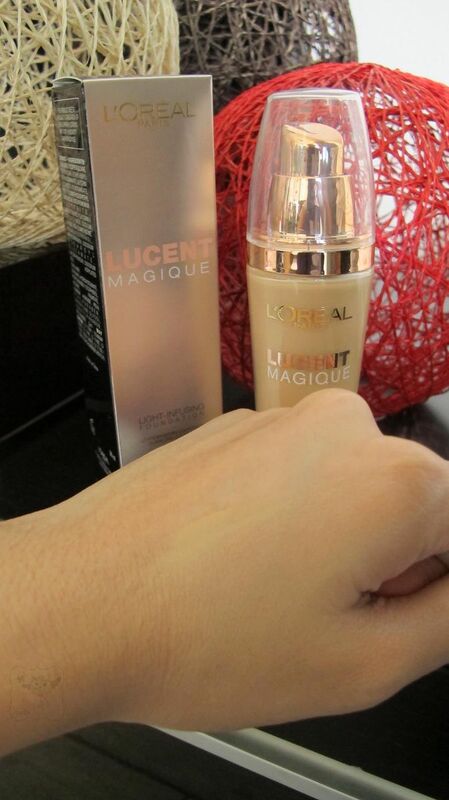 Ladies & beckies, meet L’Oreal Lucent Magique Foundation. I am not one who would normally wear a foundation on a regular basis even when I do castings. But when I work on stage, I had to put on foundation coz of how harsh on-stage light is- it can really showcase your skin’s flaws if not well enhanced or concealed with make up. Eeeep! Anyway, remember the beauty brunch date I had with L’Oreal? 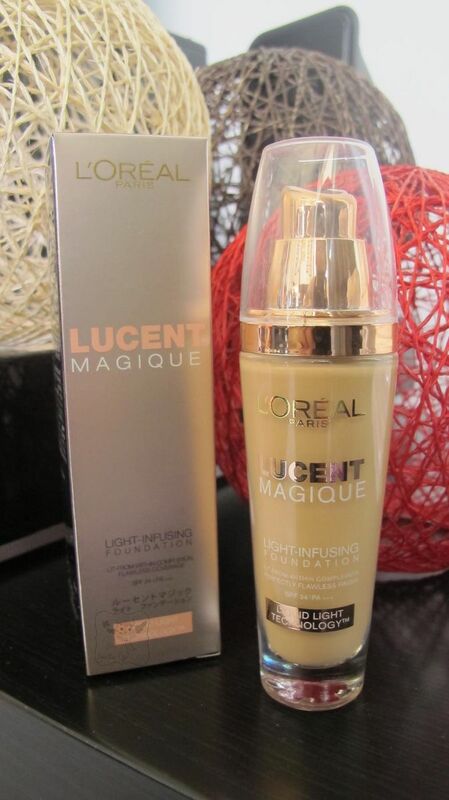 They gave a bottle of Lucent Magique Light Infusing Foundation for us to try. Now here’s my review. Well, don’t expect a beauty-blogger kind of review ha, this is just a light but I hope informative kind of review. Heehee. 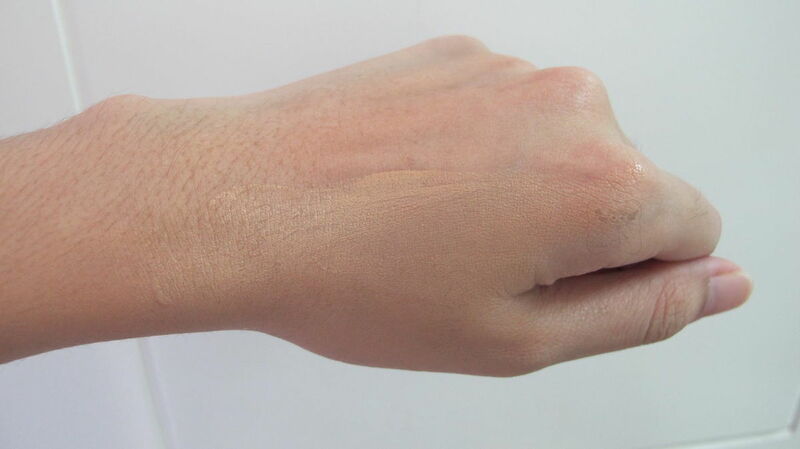 Here’s a swatch of it. At first, I was hesitant that the shade might be light for my skin tone but then again I was wrong. It was perfect for me. I like it because it doesn’t feel heavy nor sticky when worn. It even doesn’t feel as if I’m wearing foundation. I like that its water based but it doesn’t give off a dry matte finish which I think would be nice for ladies who have dry skin like I do. I wore this without putting any moisturizer beforehand nor sunscreen, thankfully it has SPF 24. Which side has L’Oreal Lucent Magique? Right. 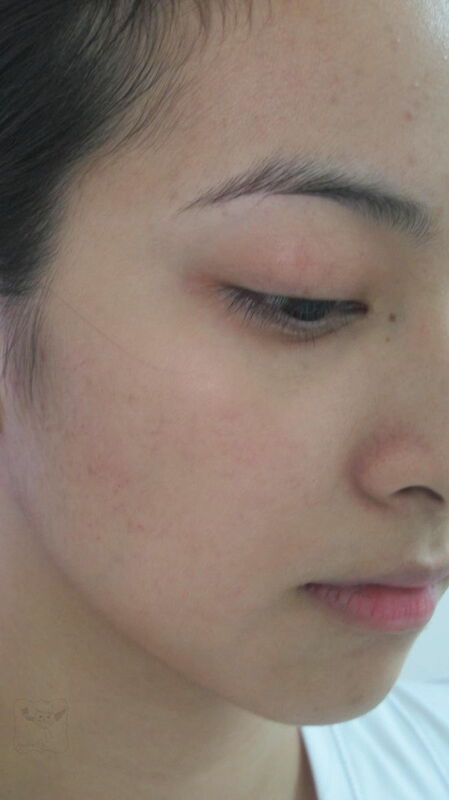 I applied about two small drops lang ha, I wanted to see if there’s a difference even with minimal application. 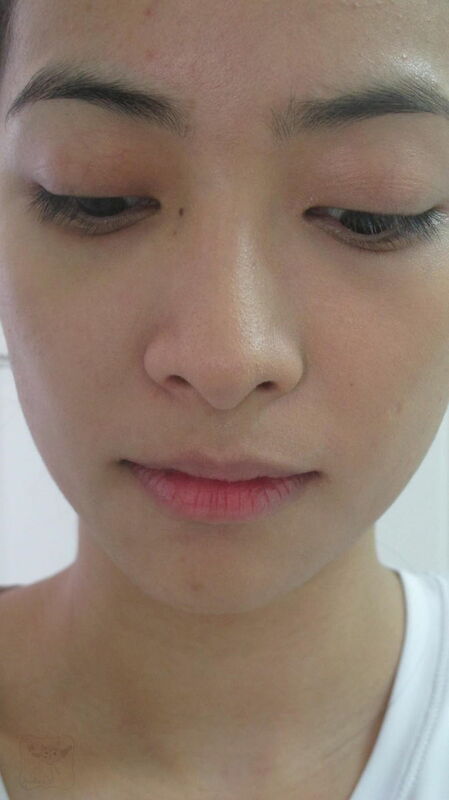 So far, the spider veins on my eyelid were concealed and it presented an even toned skin. See how glowing my right face is compared to my left? It looks more polished, skin tone more even too. It also gives off a certain glow, true nga that it helps bring out the a radiant-looking you. Here it is on natural light. 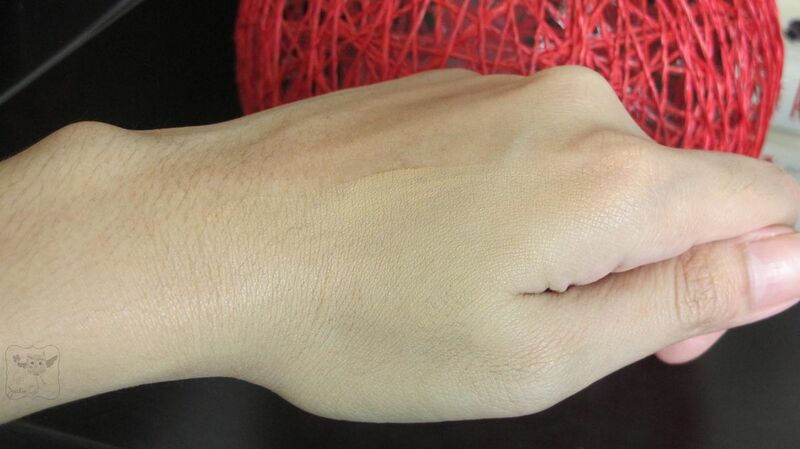 Look after rubbing it off with water, still there. I would suggest you use this alongside your favorite concealer. I think most women are afraid of wearing foundation because of two things: they haven’t found the right shade for their skin tone and they’re afraid they’ll get all cakey. Fret not! L’Oreal Lucent Magique has solved these two common problems for women. They have more than a few shades to suit every Filipina and L’Oreal Lucent Magique is so lightweight and water-based that there wasn’t any caking or cracking when worn. To know more about L’Oreal’s latest products like them on Facebook. Jackie! Super kamukha mo si Gabbie in all your photos! =) Miss ya! i’ve been reading a lot of good reviews about this foundation…. i gotta try this! Loving this foundation too. I don’t usually wear foundation but this changed that. That color is a good match, it’s seamless when I compare your face to your neck.